The original retriever to help find lost I.U.D. threads, overall length 25cm. Ergonomic design, Single-Use, sterile I.U.D./I.U.S. 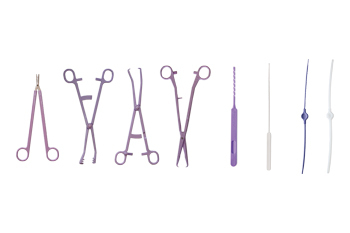 devices with guaranteed sterility to eliminate the risk of cross-infection. 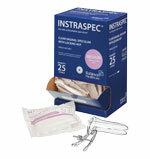 Facilitates the use of Instillagel anaesthetic gel in gynaecological investigations. The narrower distal part of Instillaquill® makes it suitable for use in both multiparous and nulliparous women, whilst the adjacent collar acts as a guide to the length of tube inserted into the cervical canal.